Venligst kontakt os såfremt I ønsker at booke til mere end 7 gæster. Please check menu options before you book your table, as we have slightly different options on Wednesday/Thursday as compared to Friday/Saturday. When ordering a table, you have the option to choose from our dining room (a la carte) or our high table (Bar Seats/dining table). You can choose in the drop-down menu. If you book the table before 20.00 you will have the table for 2 hours. We have a big bar area with many seats only reserved for walk-in guests. We reserve only for guests inside and our tables outside can not be booked. 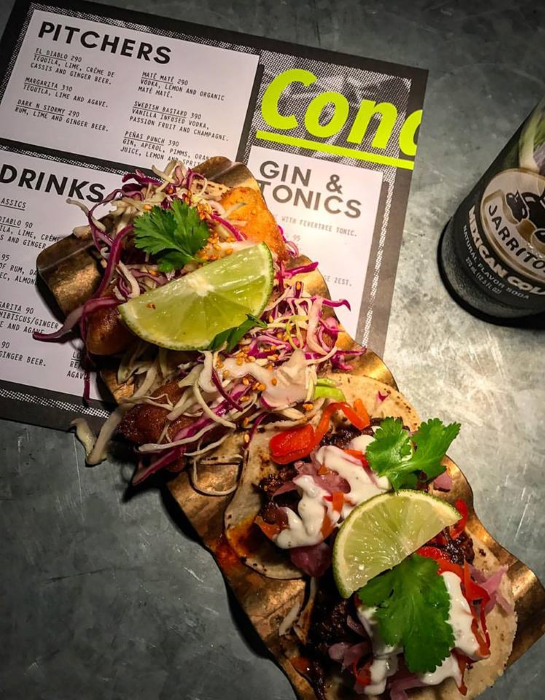 We look forward to having you at Condesa.